Over the past 12 years, I have worked for various market research companies, and in that time, I’ve held many roles and seen the space from multiple different perspectives. I knew the ins and outs of the industry, and to be honest, I thought I had seen it all. So I was taken by surprise when I came to MedSurvey and was introduced to an entirely new approach. Six months ago, I was given the opportunity to join MedSurvey. I had already been working with them as their client, and, since I knew I got along well with the team and was ready for a change, I jumped at the chance. From day one, it was clear to me that this was a different kind of company. A breath of fresh air. It felt more like a Silicon Valley startup than a company with 40-plus years of experience behind it. The catered meals, lounge areas, and standing desks were great, but leaving behind all the red tape and hierarchical trappings I had been accustomed to was really freeing. I moved from the data analysis side to the data gathering side, and after six months, honestly, my world has shifted. I don’t know if I’d call it an awakening, or a widening of perspective, but my understanding of the market has grown in leaps and bounds. So when our CEO, Paul Golota, asked if I’d be interested in writing a blog post, I thought it was a great opportunity to share my insights. First, a little background. I started out my career as an intern and, over the course of my tenure, worked on quantitative research (awareness/tracking/usage, message tracking, conjoint), qualitative research (interviewing healthcare professionals, payers, and patients), and Key Opinion Leader identification research (the specific niche I specialized in). As a senior analyst, I began working with MedSurvey as one of their clients. Over time, and as I moved up in seniority, that relationship turned into more of a partnership. From the beginning, I was struck by MedSurvey’s candor and transparency about their research processes. They eventually became my exclusive vendor, which was an unorthodox scenario given the state of play in the market research industry. But although they delivered great results, and I thoroughly appreciated their consultative approach, I never spent much time thinking about how they got things done. At the end of the day, in my mind, they were just delivering completes. After over a decade in market research, I saw doctors as random numbers represented by their unique IDs in a data set. 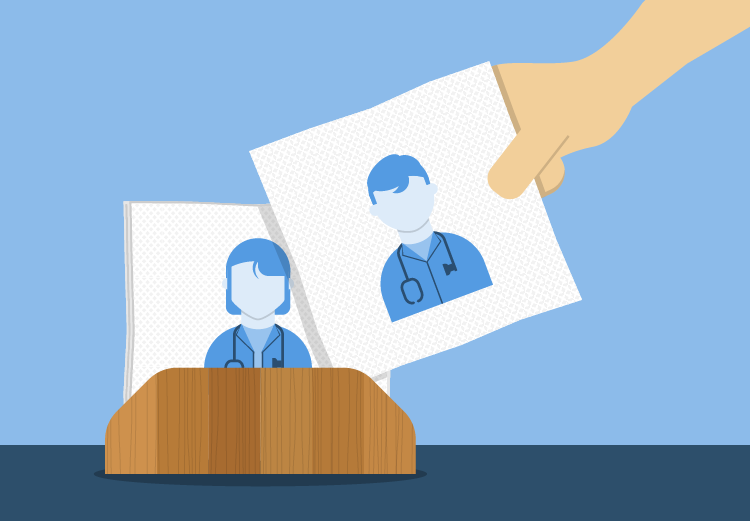 MedSurvey’s philosophy is this: you can’t think of doctors as expendable. They are not just numbers on a sheet. They are not just a complete. And they are certainly not a limitless supply of napkins to be used, discarded, and replaced. Respondents are people. Doctors are people. And by shifting our thinking, by treating our respondents as a valued resource, not inventory, MedSurvey has changed the game. By prioritizing the people behind the answers, we’ve seen advantages across the business. Our panelists are more responsive to our survey invites (upwards of a 15 percent response rate, compared to the industry average of 3 percent), and they ultimately provide higher quality data. The importance of this seems so obvious now, but it was honestly something I just hadn’t worried about before. Researchers always worry about potential biases in studies, and we do our best to implement procedures to limit, if not altogether eliminate, survey biases. So, it came as a big surprise to me that I had neglected to recognize a major bias in my own fundamental understanding of research. DOCTORS ARE PEOPLE, NOT A COMMODITY! If we treat doctors like inventory that can simply be depleted and reordered in bulk, there will come a point when they will no longer participate in surveys, and conducting research will become impossible. At MedSurvey, by establishing a healthy relationship with the people behind the numbers, we create an environment in which doctors remain interested and involved, and are ultimately committed to providing high-quality responses. And really, isn’t that the whole point? 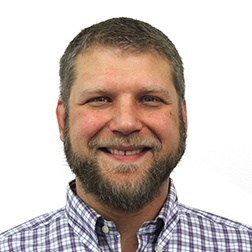 Nick is a graduate of The College of New Jersey with a degree in Psychology, 12 years of market research experience in the pharmaceutical & biotech industry and is the Director of MedSurvey’s Sample Department. He is a craft beer enthusiast who enjoys woodworking and spending time with his two daughters.